All the information you need to know about catching Pokémon on Lake Valor! It can be overwhelming catching and finding your first Pokémon, therefore we recommend you start at the Intro Lobby section. Starter Pokémon can be found there, and most are fairly easy to catch. You'll need to get hold of some Poké Balls first however. If you recently signed up, be sure to open up the message you received upon registering to the site to receive a code that will help you get your first Poké Balls! Additionally, creating an Intro Thread to introduce yourself to the community will net you a lot of PokéPoints (see below). Special Pokémon like Pikachu and Eevee can also be found in the Intro Lobby, so be sure to make it one of your first stops on your adventure. You will need to adventure into other sections to find more than just starters, however. Whilst adventuring around the sections and threads looking for Pokémon, you might have ran out of Poké Balls already or want to stock up on more. To do this, you will need PokéPoints, our virtual currency that you used to buy your first few Poké Balls. This currency can be earned simply by replying to and creating threads around the sections of Lake Valor. You can also earn it by taking part in events! From there, you'll just need to head to the Shop and purchase the types of balls you want. You will also gain medals by posting and hitting certain milestones around the site. Getting a Medal will automatically award you PokéPoints. Click here to see all of our medals! Sometimes you might want something a bit more extravagant to help you succeed in catching rarer Pokémon, like an Ultra Ball. Do note that they will cost more PokéPoints. So, like any good trainer you want to find different types of Pokémon to catch, right? The best way to go about doing that is simply to explore different sections around LV and encounter Pokémon as you discuss. Many Pokémon are exclusive to one or two sections, so you'll want to check everywhere. For example, did you know that Snorlax can only be found in The Lounge? Whilst you're posting, reading or creating your own threads you might run into one! A lot of rare Pokémon also happen to appear in our Safari Zone section where you can discuss everything about your Lake Valor trainer experience. Additionally, you can find eggs. These level up and hatch the same as a Pokémon would evolve. 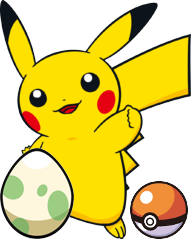 Eggs have a 100% catch rate, but most eggs won't be too easy to find. Legendary Eggs are especially rare. Although very rare, you can even find shiny Pokémon! You never know when one might pop up, so be prepared and keep Poké Balls on you at all times! Additionally, certain exclusive Pokémon can be found roaming the site for a month only, each year. For example, our mascot Azelf happens to appear throughout the month of November (our anniversary month), and Halloween Pikachu (a special, rare variant of Pikachu) appears during October. We will put an announcement in the Info Desk and create a site notice each time one of these rarities is due to appear! Though you can catch a lot of Pokémon, many species must be levelled up and evolved to reach their full potential. Most final stage evolutions cannot be found anywhere on Lake Valor, though you can find some middle stage evolutions such as Metapod and Kakuna as you explore. Get posting to evolve your Pokémon!